This is a critical moment where we can both celebrate the progress we've made so far, while highlighting the gaps that remain. The week of September 23-29th 2018 is the first Gender Equality Week in Canada. You might be asking, "Why is this important now?" Or... "So what, haven't we made enough gains yet?" We have made incredible gains. More girls and young women are enrolling in school and staying in school than ever before. The number of women entering into politics and becoming lawmakers has doubled in the last 20 years. Laws around the world are changing every day to protect women from sexual assault and abuse. Countries that have realized the economic and developmental advantages of ensuring that more skilled women enter and stay in the job market are reviewing policies like parental leave and employer hiring practices, and are enabling more young women and girls to pursue careers in Science, Technology, Engineering and Math (STEM). So why do we need a Gender Equality Week if we're making such great progress? Here are four key reasons. 1. The work is not done. Despite our gains, we're still far from achieving gender equality both in Canada and globally. In Canada, average earnings for women in all jobs were 68.4 per cent of men's earnings in 2014, suggesting a gap of over 30 per cent. Women also spend more time than men caring for their children — 50.1 unpaid hours per week compared to 24.4, respectively. Globally, the World Economic Forum estimates it will take us 217 years to achieve true gender parity. 2. Women's rights are human rights and human rights are women's rights. Billions of women throughout the world are denied equal rights to health, nutrition and education because of their gender. For example, approximately seven million women, children and adolescents die every year because they don't have access to basic nutrition, health, clean water, and sanitation. Complications during pregnancy and childbirth is the LEADING cause of death among adolescent girls in Sub-Saharan Africa. Cervical cancer is the leading cause of death of women aged 15-49 in the Asia Pacific Region because of limited access to information and services for early detection. Of the billions of people globally that suffer from malnutrition, more than half are women and girls. Lastly, only 52 per cent of women who are married or in long-term partnerships report being able to freely make their own decisions about their bodies, their contraceptive use, or in accessing health care. The list goes on. Not having fundamental access to health care and nutrition is like swimming against a current. Those who do not have adequate health and nutrition in their childhood are less likely to start or finish school, less likely to perform well while in attendance, and less likely to find decent work with adequate wages, trapping women and girls in generational cycles of poverty. 3. Progress is the result of the hard work and dedication of citizens just like you. People just like you have shed light on the gaps in gender equality. Like Malala standing up to Taliban militants for the right of Pakistani girls to go to school. Like Ellen Johnson Sirleaf, the first female president of Liberia, who made female genital mutilation illegal on her last day in office. Like MP Celina Caesar-Chavannes standing up in Canada's Parliament to state that black women's and girls' bodies are not grounds for politicization. Like women's groups from South Africa to the US to Ireland that have said "enough is enough". It was their voices that made these achievements a reality. 4. Strong systems can support strong communities and advocates. Strong voices are critical for creating societal change, but without support from government — through laws, policy, and financing — improvements in gender equality won't be sustainable. You might think that's entirely up to the government, but they rely on people like you to push them forward. And you have the power to effect change right now. 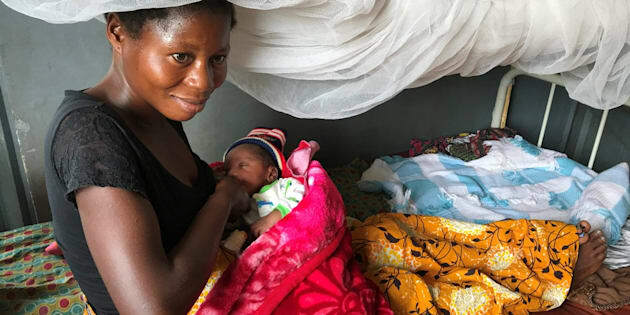 Canada was one of the creators of the Global Financing Facility (GFF), a fund designed to create gender equality in health and nutrition for women and children. The GFF works with countries across the world to build stronger systems and healthier countries, to address dire gaps and barriers to health and nutrition for women, children, and adolescents. Since its creation, the GFF has transformed modest amounts of funding into billions. On November 6th, the GFF is having a funding replenishment, and they need a renewed commitment from Canada of $240 million. This commitment will enable numerous women and girls to obtain better health and nutrition, and improve the quality of their lives. In terms of doing big things with smart and strategic investments, this is one of the best ways Canada can help close those global gaps of inequality. Gender Equality Week is a critical moment where we can both celebrate the progress we've made so far, while highlighting the gaps that remain. Next year, Canada will serve as host country for Women Deliver 2019, the world's largest conference on the health, rights, and wellbeing of women and girls. Seizing upon this remarkable opportunity, Gender Equality Week will kickstart Women Deliver 2019 Mobilization Canada, a pan-Canadian movement which engages with citizens across Canada to improve our country's leadership on gender equality and to generate increased investment for the health, rights, and well-being of women and girls. You too can join in the action by joining RESULTS Canada and Global Citizen in tweeting, emailing or calling your member of parliament to tell them that making a difference starts with Canada, and supporting the GFF is one step towards improved health, nutrition, and gender equality for women, children, and adolescents worldwide. Canada has a solid track record of taking the lead on equality and health for women and girls. Let's ensure it doesn't become history but a proud ongoing Canadian tradition.